The Black Mirror: Bandersnatch Trailer is Here! 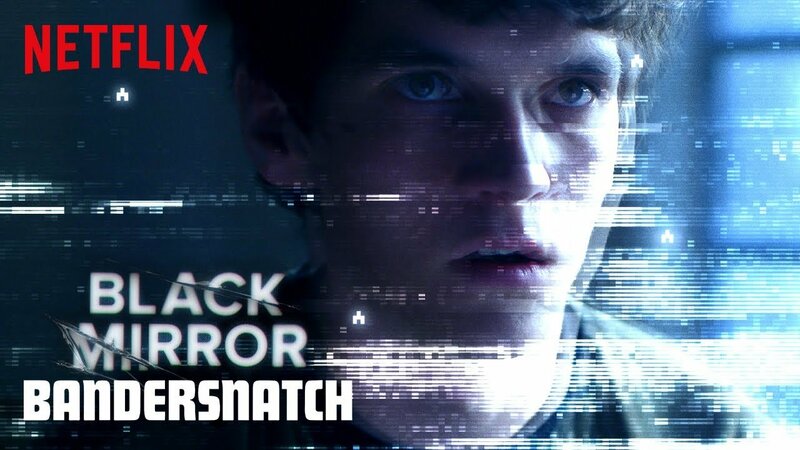 Netflix has released the official trailer for Black Mirror: Bandersnatch, an all-new Black Mirror movie that is debuting on the streaming service this Friday, December 28! Check out the Bandersnatch trailer below! In 1984, a young programmer begins to question reality as he adapts a sprawling fantasy novel into a video game and soon faces a mind-mangling challenge. Welcome back. Rumors about the film have been circulating for some time, including that it’s the previously reported “Choose Your Own Adventure” style episode. Netflix has played around with interactive storytelling in animated kids shows, such as the streamer’s Puss in Boots where the viewer can choose whether the feline fights a god or a tree, for example. Black Mirror will be the first time Netflix has attempted their choose-your-own-adventure model on a live-action program. Billed as a “Black Mirror Event,” Bandersnatch is not part of the upcoming fifth season of the series. Dunkirk’s Fionn Whitehead stars in the movie alongside Will Poulter (The Revenant, Detroit) and Asim Chaudhry (People Just Do Nothing). David Slade returns to direct the film, having helmed the season 4 episode “Metalhead” (which is briefly referenced in the trailer below). Slade’s other credits include Hard Candy and 30 Days Of Night and TV shows like Breaking Bad and Hannibal.